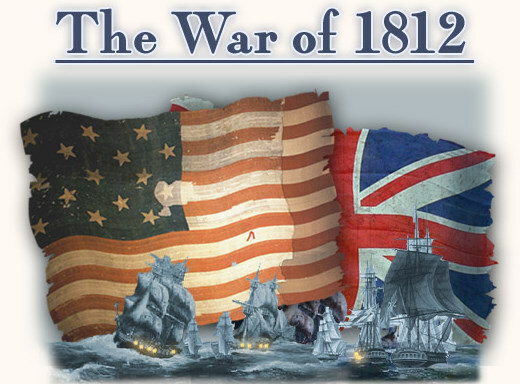 It’s time for the third and final installation of our War of 1812 blog series. While the War of 1812 was going on, a separate battle was being fought in the American South. This battle came to be known as the Creek War. The Creek War was a two-pronged conflict. First, it included a civil war among two factions in the Creek Nation. Second, it became an international struggle in which the United States, Britain, Spain, and other Indian tribes fought for land. Creek Indians lived in some of the most desired lands in the western part of Georgia. Settlers were eager to move to this land and claim it as their own. One faction of the Creeks, the Lower Creeks, gave up some of their property to the settlers in treaties made between the two. But Indians in the Upper Creek weren’t happy about these treaties and refused to acknowledge them. This group often attacked the Georgia settlers in an attempt to keep what they believed to be rightfully theirs. In 1790, the U.S. government made its first treaty with the Creeks in which both the Upper and Lower Creeks participated. In later treaties, the Creeks ceded more land to the U.S. The United States instituted a “civilization program.” Through the program, Americans taught agriculture and domestic arts to the Creeks. The Lower Creeks took to the program much better than the Upper Creeks, who remained resistant to assimilation. Meanwhile, many Indians in the Lower Creeks became wealthy. Their economy transformed from a hunting/bartering economy to a market economy. When the U.S. decided to extend the Federal Road through Creek territory, the Upper Creeks grew even more impatient. The road, which would connect Georgia with the Mississippi Territory, would also be a means for settlers to flood into the land. When they did, more and more tension ensued. Shawnee warrior Tecumseh and his brother “the Prophet” allied with the British and other Indian tribes in the north. Tecumseh encouraged an uprising by the Indians against the Americans. His followers first killed several white travelers on the Federal Road in the Spring of 1812. The group, which came to be known as the Red Sticks, carried out many other attacks throughout that year. Those Indians who had formed bonds with the settlers rejected Tecumseh’s call to war. However, most Indian nations sided with the British against the U.S. In total, more than two dozen native nations, including the Cherokees, Choctaws, and Mohawks, became part of the war in one way or another. Was America ultimately victorious or was Tecumseh able to gather enough followers to defeat the Americans? Get the full, fascinating story of the battle for land and cultural influence in The Creek War, available now at the GPO Bookstore. Finish off your War of 1812 reading with The Canadian Theater 1814. The year 1814 would test whether the United States had learned enough from the disappointments of the past eighteen months to defeat the wave of British veterans that was about to reach North America. President Madison and his cabinet understood only too well that, if the United States were to win its war, victory would have to come quickly before the full might of Britain arrived. The Army would need to be even stronger. Congress attempted once again to expand the size of the Army by raising the enlistment bonus from $40 to $124 and by increasing the authorized strength to 62,500 men. It also augmented the numbers of regimental officers and noncommissioned officers to give regimental commanders more recruiters. Despite these measures, Army strength rose only to approximately forty thousand men by the time active campaigning began in 1814. Read this booklet, which covers many battles, including Oswego, Sandy Creek, Chippewa, to find out if President Madison and the American military were able to defeat the British once and for all. The War of 1812 is not one to be overlooked. Regarded by many as “the second war of independence,” it contributed to the growth of the American military and the physical expansion of the United States. The successes of the war helped boost the confidence of American soldiers and citizens and shape the country into what it is today. Thanks for coming on the journey to learn more about this impactful war.